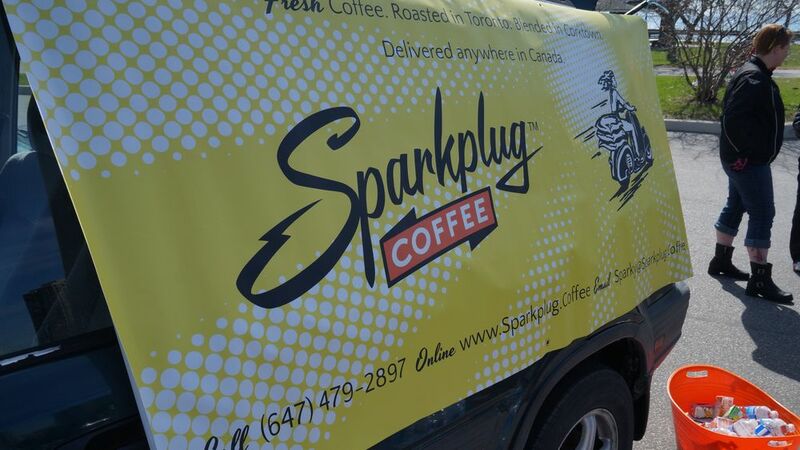 The first Saturday in May is International Female Ride Day (IFRD) and this year Sparkplug Coffee was there with fresh coffee - courtesy of KYMCO Canada & Studio Cycle Group - to rev people up before heading out on the ride around Toronto. 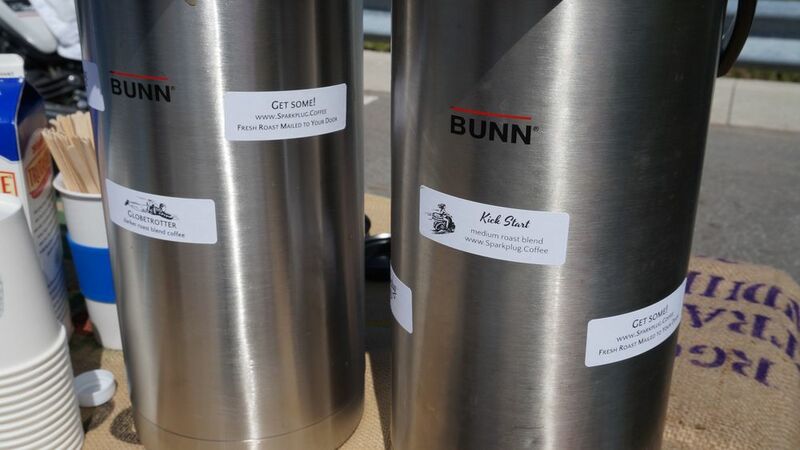 Kara and friend Sandy were able to join the ride while Joe & June from Team Sparkplug Coffee packed up the coffee supplies. Thanks June & Joe! You rock! And thanks Motoress Vicki Gray for starting IFRD - what a great idea! 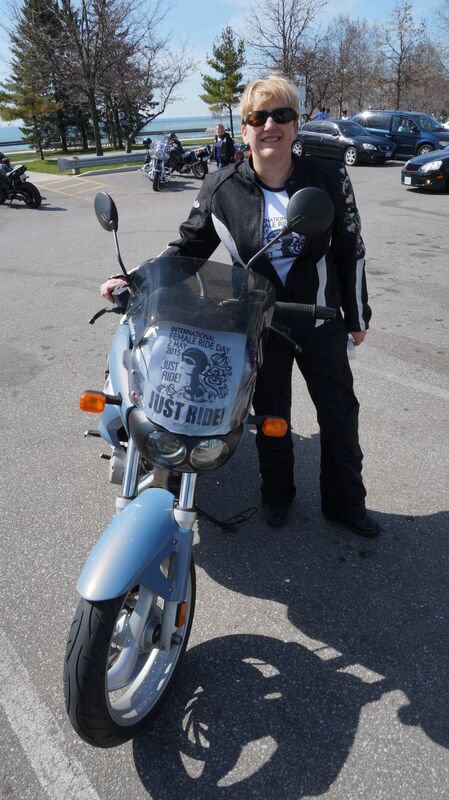 And especially big thanks to Cecilia for organizing this year's Toronto Female Ride Day! Here's a link to the IFRD website that explains how the purpose of IFRD is for women to get out on their motorcycles and scooters and "Just Ride!" to show how fun it is and to encourage other women to try it out. tagged with scooters, motorcycles, just ride!